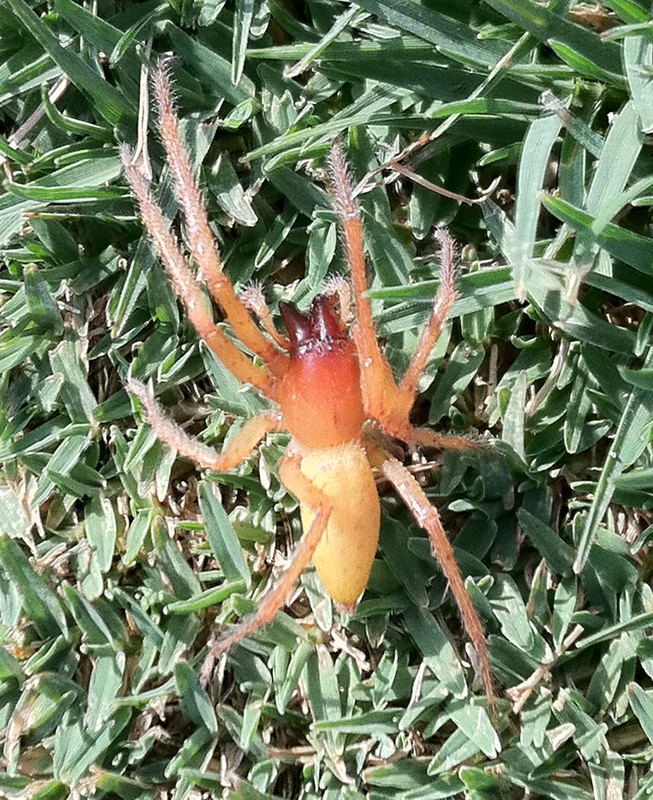 I felt this spider crawling up my leg on the golf course today in North Houston. Do you know what kind it is? My most recent research focuses on the spiders in the Miturgidae family. Several people from the Houston and Humble area have recently sent me images of spiders that are similar to that family, but also show similarities to spiders in the Clubionidae and Amphinectidae families. Though I’ve concluded that most of them are in the Amphinectidae (which is represented by only one species in North America, Metaltalla simoni — Keyserling 1878]), it was first necessary to become familiar enough with the Miturgidae to either confirm or eliminate its species from contention. 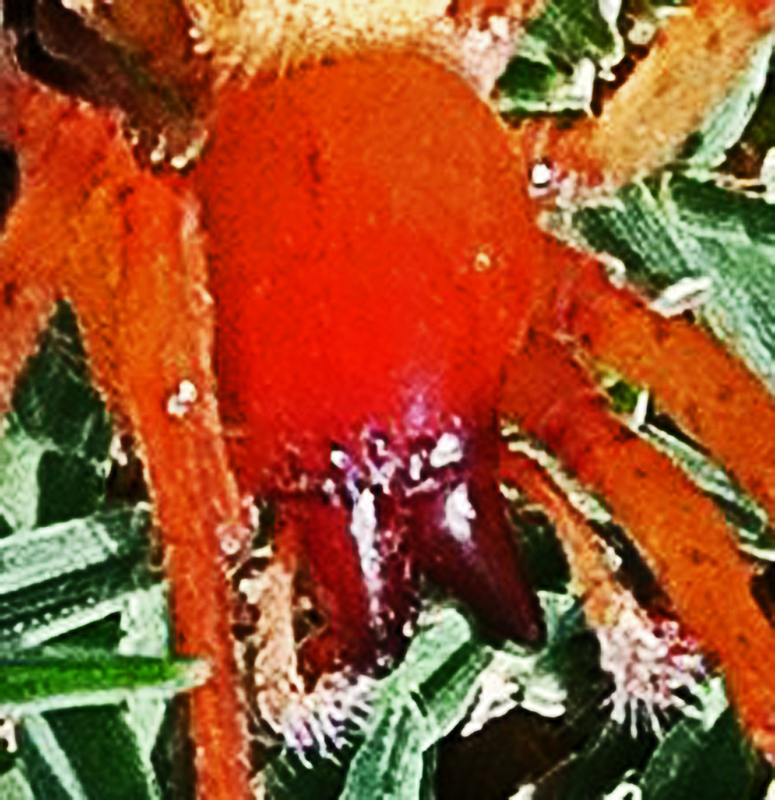 Now comes your photo, which displays many of the features of one particular genus in the Miturgidae — the yellow sac spiders in the genus Cheiracantha — but with one difference: the anterior tibia and tarsus of each leg, which would be smooth for a cheiracanthid, are clothed with an abundance of hairs. It so happens that another genus in the Miturgidae, namely Teminius (first described by the American arachnologist Nathan Banks in 1897), is noted for having hairy tibias and tarsi, particularly on legs I and II. 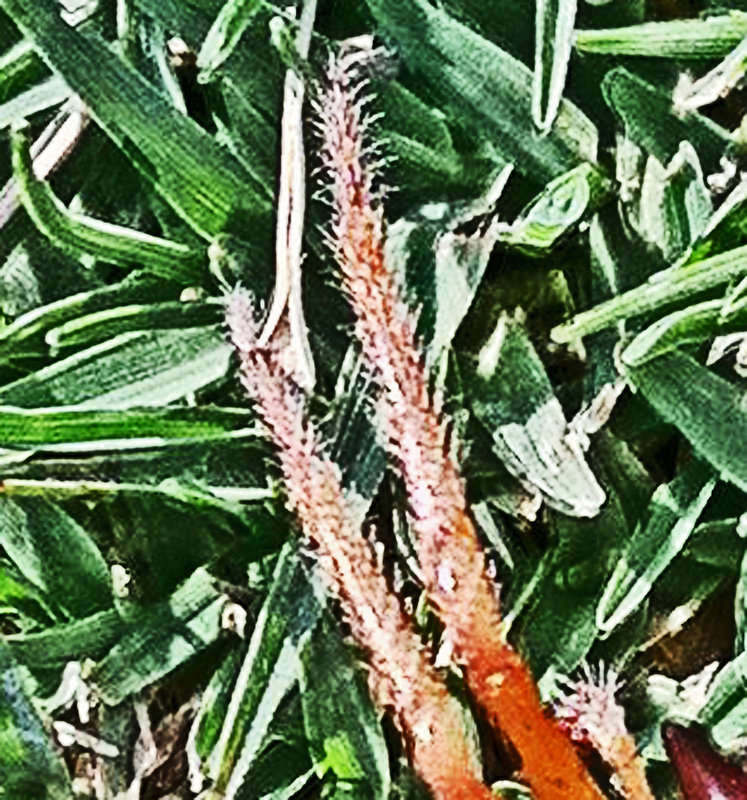 Only two species are known in North America, and only one, Teminius affinis, is known to be found in Texas. More than likely that is the identity of the spider that accosted you today. The yellow sac spiders are famous for their painful bites, which smart much like the sting of a bee. Although the bites can remain tender for a few days, and may even produce transitory flu-like symptoms, the bite is not otherwise of any medical significance. We have no information on the other spiders in this family, so nothing can be said regarding Teminius affinis except that no news is probably good news. If its bite was dangerous, we’d probably know about it. Inasmuch as you didn’t mention getting bitten, all this is academic anyway, but you are probably curious. Note that all the photographs depicted on this web page may be enlarged for more detailed viewing by moving your cursor to the photo and clicking on the image. 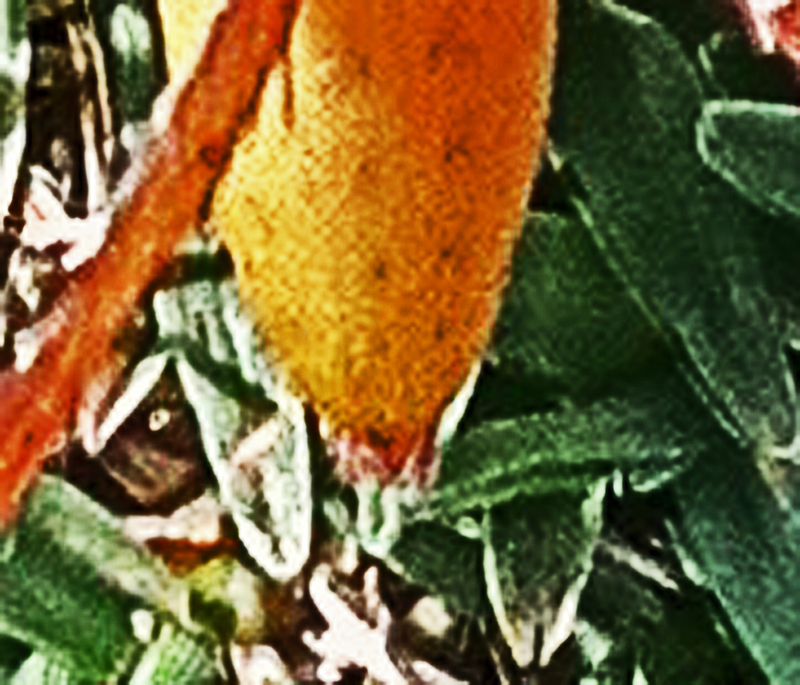 Yellow sac spiders (which this is not, but with which it is closely aligned) were, for some time, thought capable of producing serious necrotic lesions with their bites. More recent investigators have concluded that these spiders have been wrongly accused, most likely because their bites, though not medically significant, are notoriously painful and tend to leave a lasting emotional impression on those who fall victim to their not so tiny fangs. In any case, it is not unusual for me to receive images from those who find small pale, yellow, tan, or brown spiders in their homes and — either because they or a loved one gets bitten, or because, on searching the Internet, they read a number of postings implicating such spiders as being “relatively dangerous” — ask for help in identifying them. Ann, on the other hand, had neither suffered a bite nor formed any suspicions regarding the sociability of this spider. She was merely exercising a healthy, native curiosity. After all, this is not a typical arachnid. It is brightly colored, has rather stout chelicerae that project from its anterior head, and its legs are adorned with conspicuous, long, light-colored hairs. She probably did not notice the spinnerets that trail behind the spider, being they are not so striking a character as the other two just recited. The fact they are visible, in a dorsal view of the posterior abdomen, is a significant feature of the spider’s morphology. Were they not visible, in fact, we would be unable to assign this spider to the Miturgidae family. As mentioned earlier, not much is known about this spider, despite the inference, from a number of investigators, that it is a widespread arachnid in Texas. Nothing of any significance on its biology has been published by the Arachnological Society of America, and though an exhaustive search of the archives of the American Museum of Natural History has not been completed, a cursory search reveals very little there as well. James H. Emerton, in his 1902 book The Common Spiders of the United States, is silent on the genus, as is Herbert Levi in his 1968 book Spiders and their Kin; B. J. Kaston, in his 1978 (3rd ed.) book How To Know the Spiders, and even the venerable Willis J. Gertsch, in his 1979 book American Spiders. Similarly, Rod Preston-Mafham, in his 1991 book Spiders and Scorpions; Paul Hillyard, in his 1994 The Book of the Spider, and Jan Beccaloni in her 2009 book Arachnids, say nothing at all regarding these arachnids. “The members of this genus are easily distinguished from other drassids by the form of the spinnerets. The hind spinnerets are much longer than the fore spinnerets; plainly two-jointed, with a long, slender apical segment. The fore spinnerets, although quite widely separated at the base, are not so widely separated as is usual in the Drassidae; in fact they are not more widely separated than are the hind spinnerets. The tarsi and metatarsi of the first, second and third legs are heavily scopulate. In the two species that I have before me, the fore tibias are devoid of spines. There is some doubt regarding the position of this genus. Simon suggests that the species placed here should be included in his genus Syrisca of the family Clubionidae; but owing to the comparatively wide separation of the fore spinnerets I leave it in the Drassidae. Dondale, Charles D. 2005. Thomisidae; Chap. 24, Ubick, et al., 2005, pp. 246-247. Published by the American Arachnological Society. Ubick, Darrell. 2005. Miturgidae: Chap. 10 in Ubick, et al., 2005. American Arachnological Society, pp. 173-174.